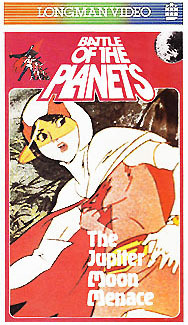 The first home video releases of the English language version of Battle of the Planets were a series of VHS tapes in the UK. 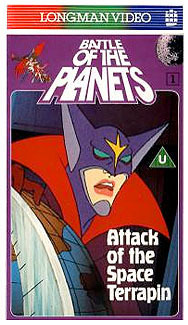 Eight cassettes, numbered 1 through 8, with four episodes each (seen above in the first four rows) were released under the Longman Video banner. 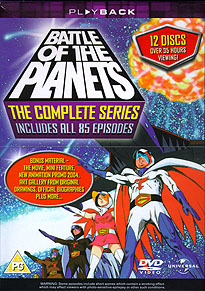 These volumes were issued on both VHS and Beta formats. 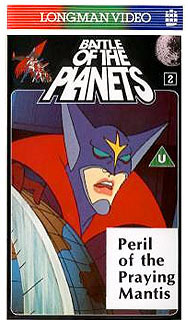 Longman Video also released four later VHS cassettes with two episodes each and newly required BBFC ratings certificates. 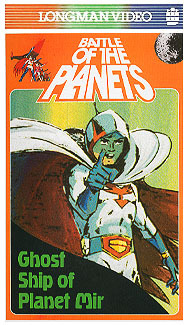 Two were released under their Pickwick label (next to last row) and two under their Super Legends label (bottom row). 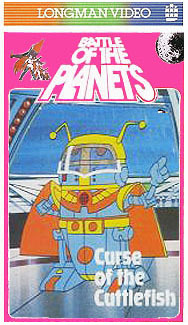 The numbering of these cassettes, 1 through 4, was consecutive between the Pickwick and Super Legends releases. 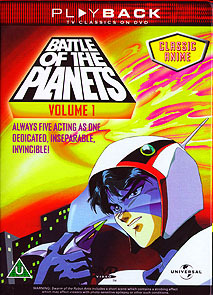 All volumes were released in 1984. 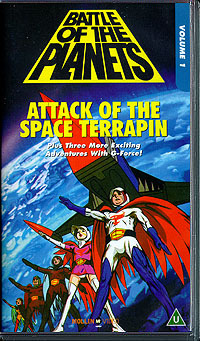 The first home video releases in fifteen years began with "Attack of the Space Terrapin" on VHS from Mollin Home Video. 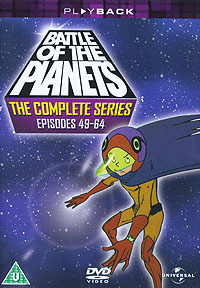 It contained four episodes of the series, as did Volumes 2 and 3. 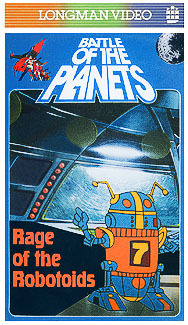 These are featured on the top two rows of images. 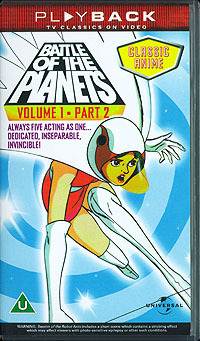 The bottom row features low resolution mockups of Volumes 4 and 5 which went unproduced. Just as Mollin was getting going on its releases, internal problems caused the company to close down. 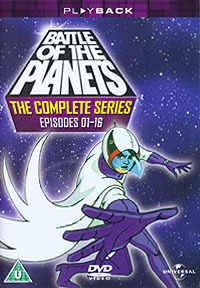 Volume 1 was released in 2000, Volumes 2 and 3 in 2001. 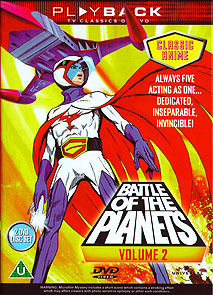 After Mollin Video closed, Universal Home Video took over the Battle of the Planets home video license. 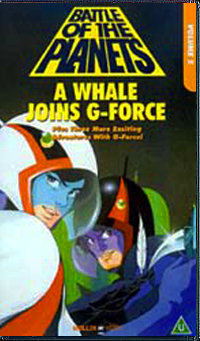 Their first release wave in 2002 included two VHS cassettes (top) called Volume 1 - Part 1 and Volume 1 - Part 2. 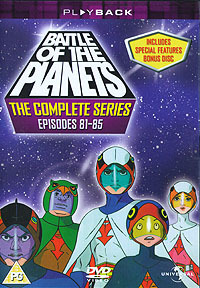 Each tape contained six episodes. 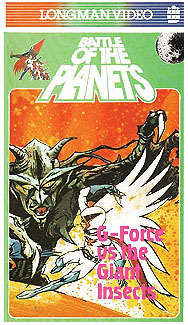 A later limited edition release through WHSmith stores in 2003 (bottom) collected both cassettes into one case simply called Volume 1. 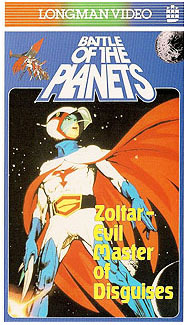 It also included four oversized Battle of the Planets cards as bonus items. 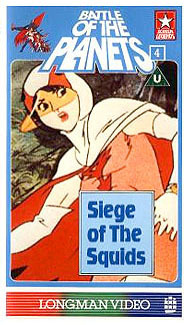 By Universal Home Video (UK). 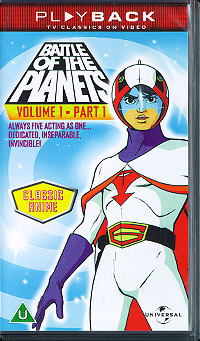 The first ever worldwide DVD release for Battle of the Planets came on Mollin Video's Volume 1 in 2001. 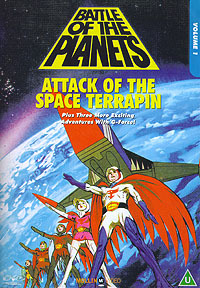 It contained four episodes, plus extras in the form of model sheets and vintage promos. 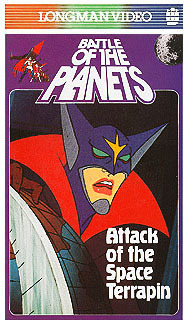 Just as Mollin was getting going on its releases, internal problems caused the company to close down. 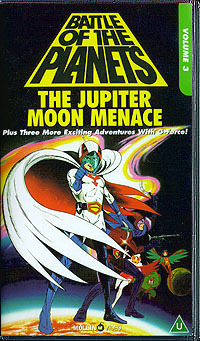 No additional DVDs were released through Mollin. 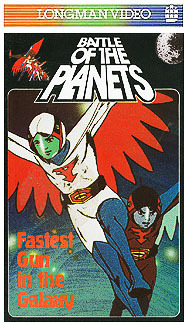 After Mollin Video closed, Universal Home Video took over the Battle of the Planets home video license. 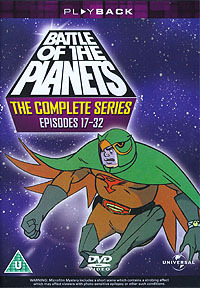 They released two double disc sets, each with twelve episodes. 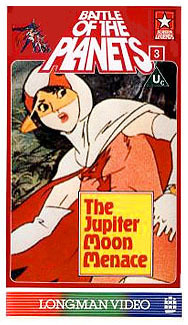 Both were released in 2002 by Universal Home Video (UK). 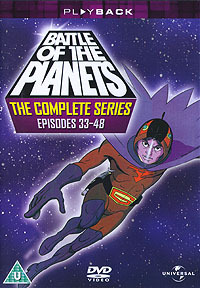 A couple years after their initial wave of home video releases, Universal followed up with a complete series, twelve disc box set. 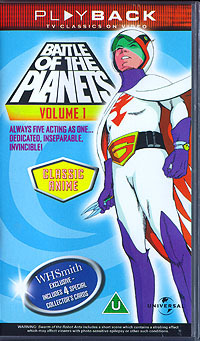 This was the first time the entire Battle of the Planets series was made available on home video. 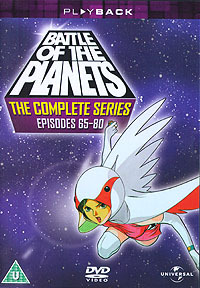 On top of the eighty-five episodes of the series, several bonus features were included on a separate disc. 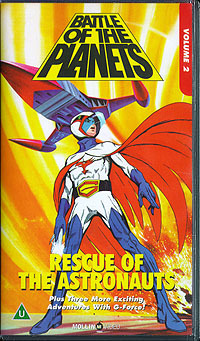 Released by Universal Home Video (UK) in 2004.